Went to the Portland Nursery to get some new plants for a raised bed in the backyard. If you’re ever interested in getting specific plants for areas of the yard, I would definitely recommend going to an expert. The people there were super helpful and got me all the gear and knowledge necessary. I went home with 2 species of Dahlia’s which enjoy a lot of sun and moist soil which is perfect for this particular spot in my backyard. Also got some rosemary for a separate tin tub and some good soil. 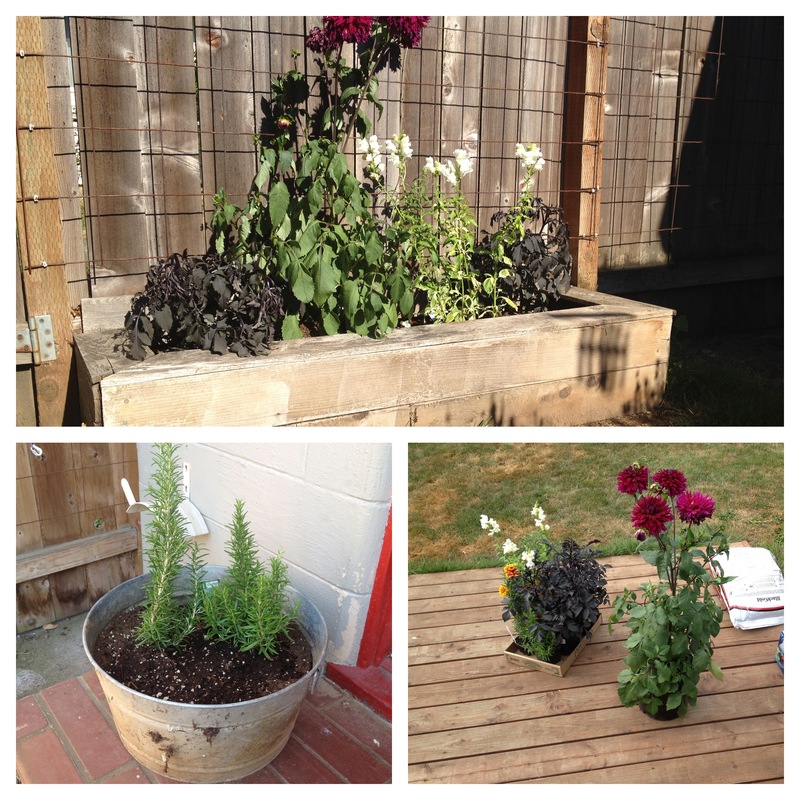 This entry was posted in backyarding and tagged dahlia, jennifer's wedding, planter, rosemary. Bookmark the permalink.